The rendering doesn't work properly on my GTX Titan with Cycles. Somehow hit looks like bounces are terminated or something or the light information in the rays is not stored properly. 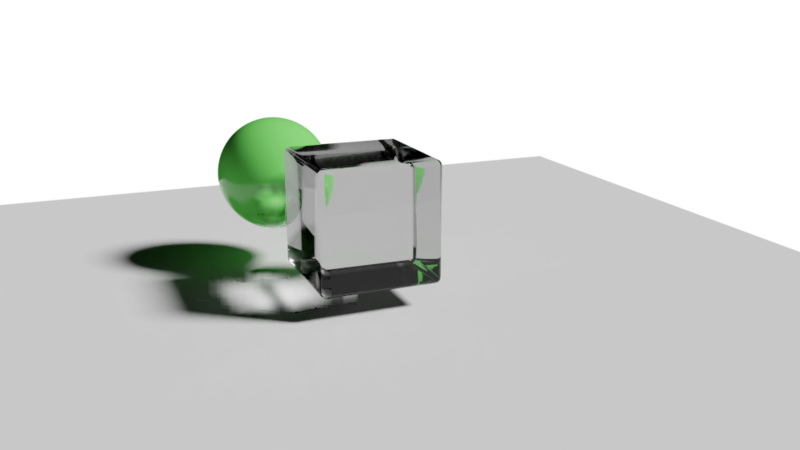 As a result the reflections and refractions turn out black, easily visible in the glass cube but also the green of the cube is not reflected on the plane underneath. I have no problems with Blender 2.79b there Cycles renders properly. T56858: Cycles: Cuda 9.2 and 10 Issues. 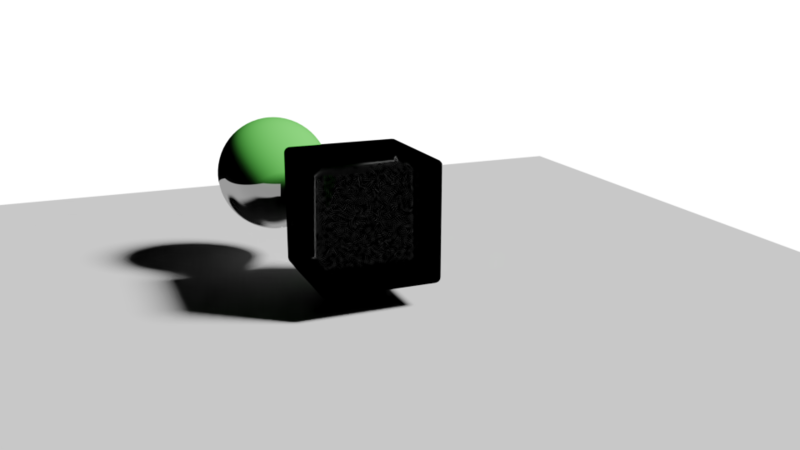 Casper van Leeuwen (casperl) renamed this task from Cycles GPU rendering not working properly (?misses light path bounces) to Cycles GPU rendering not working properly GTX Titan (?misses light path bounces). please do not assign priority your self. also that's a cuda 10 bug, use 9.1 and you'll be allright. With you closing this bug, I might assume that is already in the progress of fixing? Will CUDA 10 ever be supported? Sorry for the priority setting, didn't know that was not allowed. It's a bug in cuda10(some cards)/9.2(all cards) we cannot work around, nvidia has been informed, there's nothing we can do on our side, so no need to keep a ticket open. Just had another look I have now version 9.1, its still not working and it was a prebuild version of Blender downloaded from the blender.org website, doesn't that come with CUDA itself? Still it is not working on my system. if 9.1 doesn't work, it's definitely a different bug, opening back up. And using CUDA 9.1 isn't a very attractive solution, as most Linux distros these days come with 9.2 or even 10, as 9.1 is already a year old. I irks me that my 2.79 version works perfectly with CUDA 10 installed but 2.8 not, that 2.8 with CUDA 10 works perfectly on my laptop but not on my workstation and that I have to install a year old graphics driver in order to use the newest version of Blender, that doesn't make sense. Do you have any information, thread or bug report which I can follow which shows the CUDA problems with blender? I am very curious on the why's and how's of this whole issue, because something like this needs to be working properly. @LazyDodo (LazyDodo) it seems to be fixed in the blender 2.8 beta!! @Paul Melis (paulmelis) can you confirm that it also works for you? there's some background on the cuda 9.1/10 issue in T56858 but as i said earlier if 9.1 doesn't work for this issue, it's very likely a different issue and we shouldn't be mixing the reports cause that'll just confuse everyone. The Linux buildbot was using CUDA 9.2 for a while apparently, this is fixed now.